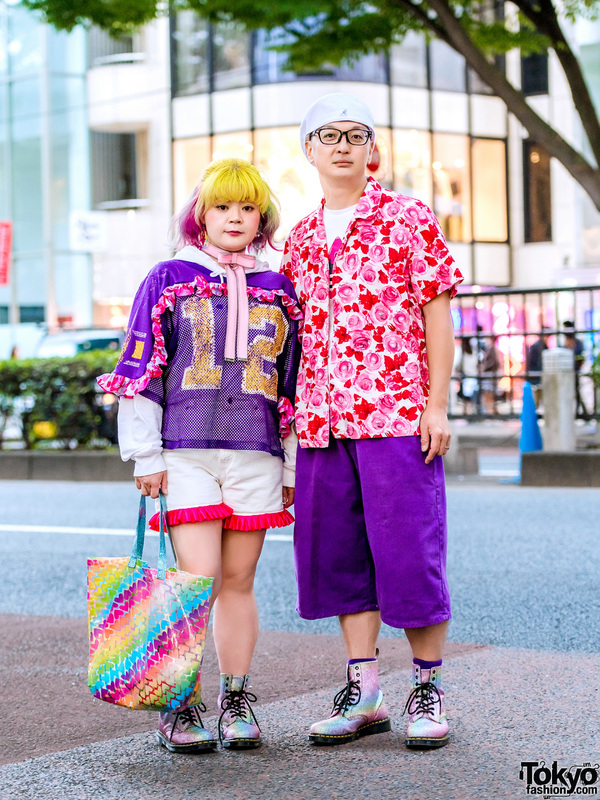 Harajuku girl in sophisticated minimalist fashion style wearing a burgundy maxi coat, printed top, lace up leather boots, and a monochrome print handbag. 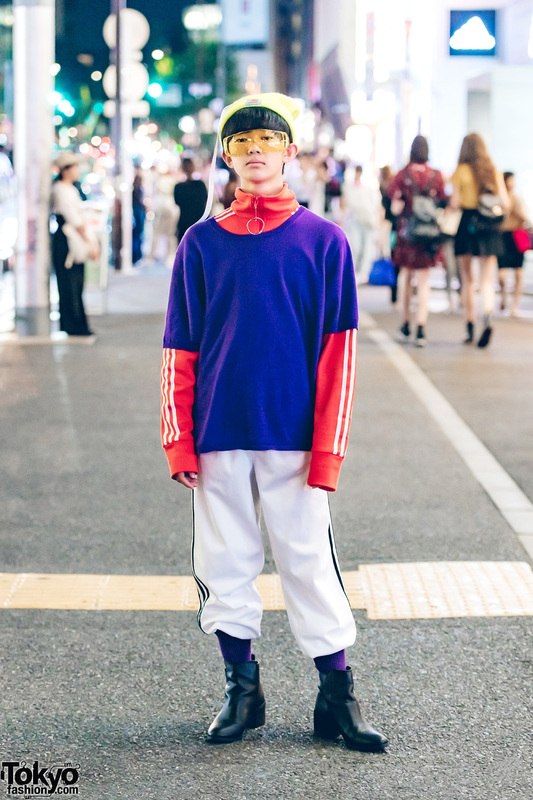 Harajuku teen in multi color sporty outfit while out and about on the street. 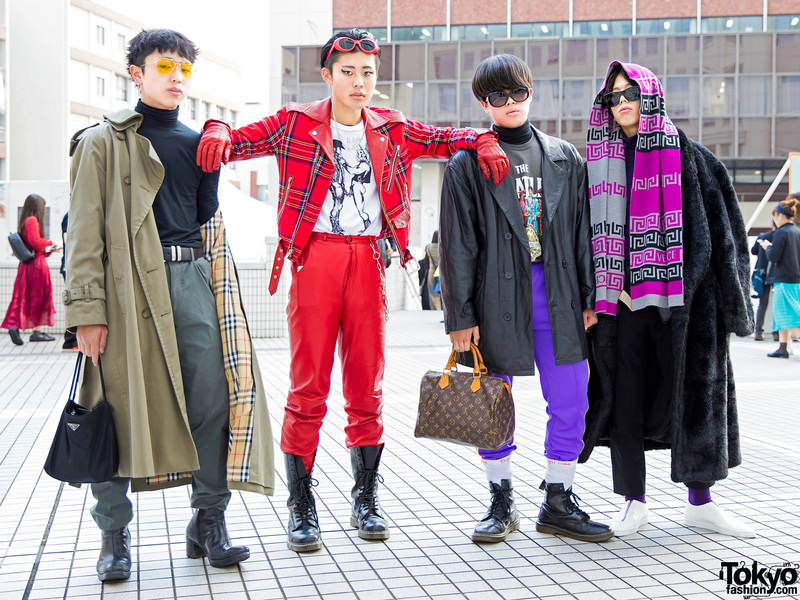 Harajuku teen group in different streetwear styles while out and about.